The Best Primary Teacher blogs from thousands of Education and Teacher sites on the web using search and social metrics. Data will be refreshed once a week. 2.9 Mr P's ICT blog | Tech to raise standards! 2.39 I Teach.What's Your Superpower? 2.65 Color It Like you MEAN it! 2.89 Primary Creations | Tot School, Preschool, PreKinder and Kinder. Primary Teacher newsletter is a comprehensive summary of the day's most important blog posts and news articles from the best Primary Teacher websites on the web, and delivered to your email inbox each morning. To subscribe, simply provide us with your email address. About Blog Clutter-Free Classroom has FREE tips & ideas to help teachers improve classroom organization & management. As a National Board Certified teacher, curriculum developer and conference presenter with 18 years teaching experience in Kindergarten, 1st, 2nd, and 3rd grade I love sharing my best practices with other educators. Facebook fans 58,583. Twitter followers 281. Houston, TX About Blog After 16 years in the classroom in grades 2-5, Donna Boucher is now an instructional math coach for grades K-5.She wants to make math fun and engaging for all students by producing high quality, thought provoking, "mathy" activities and lessons. Facebook fans 63,112. Twitter followers 14,276. About Blog My blog "Hopkins' Hoppin' Happenings" will be filled with ideas for K-6 teachers. My ideas will include academics, behavior, and positives! Facebook fans 2,559. Twitter followers n/a. Austin, TX About Blog I have 15 years of experience teaching both upper elementary school and middle school mathematics. I also have two years of experience in campus leadership as an Assistant Principal. Facebook fans 3,617. Twitter followers 105. Ireland About Blog Irish Primary Teacher offers advice, support and resources for teachers in Ireland. Facebook fans 23,150. Twitter followers 929. Florida About Blog Julie Sawyer is a 3rd grade teacher, currently teaching math and science to two classrooms. Facebook fans 1,188. Twitter followers 228. About Blog A blog offering teaching ideas and mentor sentence directions and lessons. The goal of this page is to present resources and ideas to K-5 educators to help them grow compassionate and intelligent citizens in their classroom! Facebook fans 17,659. Twitter followers 864. Facebook fans 47,686. Twitter followers 4,623. 9. Mr P's ICT blog | Tech to raise standards! About Blog A blog about using iPads to enhance teaching and learning in the classroom, especially Primary Education. Mr P is a primary teacher and iPad advocate. Facebook fans 167,280. Twitter followers 33,489. Nashville, Tennessee About Blog An elementary art teacher blog with art projects and lessons, DIY projects and outfit photos as well as clothing I have made myself. Facebook fans 8,454. Twitter followers 3,312. About Blog A Primary Head Teacher's Point of View. Facebook fans n/a. Twitter followers 10,694. About Blog A primary school teacher, studied English and Law originally but then decided to become a teacher with Hibernia College, and here's she, with the most visited educational blog in Ireland! About Blog Printable K-3 teaching resources and clipart! Facebook fans 19,628. Twitter followers n/a. About Blog It was founded on the idea that education starts in the imagination, and even the best educators can use some support. Providing one-of-a-kind, research-based curricula for teachers in upper elementary classrooms, Young Teacher Love is a place where knowledge meets inspiration. Facebook fans 26,227. Twitter followers n/a. About Blog Currently, I am the principal of a K-2 elementary school in Michigan. This has been an incredibly rewarding career move as I have transitioned from being a teacher of kids to a teacher of teachers. Facebook fans 4,907. Twitter followers n/a. Rhode island About Blog Hi! I'm Sara and I am a curriculum developer for elementary school teachers. On my blog, The Colorful Apple, I share ideas and tips for grades pre-K through 6. Facebook fans 5,846. Twitter followers 1,770. About Blog I was a classroom teacher in North Carolina for 7 years. I have taught three years of 1st grade, three years of 2nd grade and one year in a Title I position serving 2nd, 3rd and 4th grade in ELA and Math! Facebook fans 2,643. Twitter followers 12. About Blog My teaching career has included special education resource students in grades K-8 and regular education classes in grades 1, 3, and 4. By far my favorite has always been 3rd grade. Facebook fans 1,475. Twitter followers n/a. Madrid, Comunidad de Madrid About Blog I am a general education teacher of 8 years. I taught grades 2, 3, and 5 at both low and high performing elementary schools in Charlotte, North Carolina. Facebook fans 6,054. Twitter followers 1,258. About Blog My name is Vivi Hamilou and I am an appointed English teacher in a public Greek Primary School. I have studied English Language and Literature at the Aristotle University of Thessaloniki, Greece, and I hold a Master’s Degree in English Language Teaching (University of Patras, Greece). Jacksonville Beach, FL About Blog I love teaching at Jacksonville Beach Elementary School. Working with students who strive to learn, interacting with parents who take a positive active role in their child’s education, and collaborating with professionals who love the art of teaching has been a joy. Facebook fans 62,412. Twitter followers 28. About Blog We think together, we act together, we work together. We collaborate. Still nothing beats the joy on the faces of my kids when they achieve their goals for learning in the classroom. I began my career as a Junior Primary Teacher teaching at a few Elizabeth JP schools, I loved working with year 5 to 8 year olds. Kentucky About Blog A Kentucky 1st grade teacher Catherine Reed, who loves all things books, tech, and blogging. In her fourth year of teaching, she leads a combination K/1 class with 13 first graders and 11 kindergarten friends. Join her for weekly classroom updates and free resources. Facebook fans 117,297. Twitter followers 1,973. About Blog Resources and ideas to enhance your classroom instruction. I am an elementary teacher, who is continually learning how to become a better teacher. Facebook fans 26,269. Twitter followers 462. Austin, Texas About Blog I am a fifth grade teacher in Texas. I love creating my own resources to fit my students' needs. I hated science when I was a kid, but I love teaching it! I try to find ways to really engage my students in learning science and keep them interested...even with state testing. Facebook fans n/a. Twitter followers 2,723. Atlanta, GA About Blog Graham Fletcher has served in education as a classroom teacher, a math instructional lead, and currently as a math specialist. He earned his specialist degree in math education from the University of Georgia. Facebook fans n/a. Twitter followers 15,700. San Diego About Blog 5th grade teacher and creator of Lessons with Laughter. I love technology, learning, and sharing the love of learning with others! Facebook fans 6,772. Twitter followers 1,083. South Dakota About Blog Fun, Engaged, Impactful Relationships & Learning. Experienced K-6 Teacher, Former Elementary Principal & Special Education Director , Blogger, Professor ,Work-at-Home Mom and Virtual Assistant. About Blog During my seven years as an elementary educator in California, I have taught students in grades 2-4 at two different schools in two different districts. Core Inspiration is founded on the idea that every student has the right to feel comfortable, confident, safe, and inspired in their learning environment. Facebook fans 2,199. Twitter followers n/a. Fort Lauderdale, FL About Blog I am a 1:1 ipad elementary teacher! I teach reading, writing, math, science, AND social studies…WHEW! Support Specialist. Specializing in helping teachers integrate technology into their lessons. Facebook fans 4,208. Twitter followers 2,048. About Blog A motivational website with creative resources for teachers. This is my 4th year teaching and I absolutely LOVE it! My first year, I taught 2nd grade. Last year I got moved to 3rd. I was nervous because I loved 2nd so much. I wound up LOVING 3rd even more!! It is the best age. They are so sweet, but so fun and get your humor! I am very excited to be teaching 3rd again with an amazing team!! Facebook fans 17,077. Twitter followers n/a. Greenville, South Carolina About Blog This blog is a culmination of things that I do in my classroom and of things that I find from other fabulous teachers! I am a firm believer in sharing so we don't always have to reinvent the wheel! I am a third grade teacher, wife, and a new mom to a beautiful baby girl. Facebook fans 2,218. Twitter followers n/a. About Blog A 2nd grade teaching blog that shares ideas and inspires others. Facebook fans 4,148. Twitter followers 26,441. About Blog Hi! I’m Tessa and I Teach the 1st, 2nd and 3rd grade. Chandler, Arizona About Blog A menu of items, tips, ideas, activities, and support where Teacher's "Take-Out" educational materials to use in their classrooms. Serving classrooms K-5th Grade. Facebook fans 3,854. Twitter followers 1,639.
carmel, indiana usa About Blog 34 year teacher grade 3 gifted and talented Check out my blog for free teaching materials & ideas. Facebook fans 1,552. Twitter followers 2,236. Tampa, FL About Blog A teacher who blogs, and totally runs on Dunkin! I love to learn from others, and share my passion for teaching the whole student. You'll find resources for teaching K-8. Facebook fans 1,784. Twitter followers 7,075. 39. I Teach.What's Your Superpower? About Blog A language arts teaching blog for third and fourth grade teachers full of technology ideas, engaging lessons, and freebies. Facebook fans 6,459. Twitter followers n/a. About Blog Hi, I'm Colleen and I've been teaching since 2004. My first year teaching was in fourth grade, and I've been teaching second grade ever since. I absolutely love second grade and love what I do. Hawaii About Blog A second grade teacher in Hawaii. Loves to surf and share about her adventures in the classroom and in the ocean. Facebook fans 14,470. Twitter followers 2,438. About Blog I'm a second grade teacher, reading specialist, dog lover, blogger, pinner, reader, writer and redhead. I am loving sharing my creations and what inspires me about teaching with other educators! About Blog Teaching kids is great. Well - there are some parts that are not so great (I've been sneezed, snotted on, and barfed on) but overall, it's incredibly rewarding. I've been a teacher for nine years: third and fourth grade, until this year, my first year as a literacy leader! Facebook fans 1,533. Twitter followers 1,677. Missouri, USA About Blog 4th grade educator passionate about #edtech engaging students creatively! Helping teachers and subs one resource at a time! Facebook fans 4,583. Twitter followers 123. About Blog Nyla's Crafty Teaching showcases creative lessons and games available for teachers to have fun-filled classrooms. As a Caribbean primary school teacher, I share my unique classroom with the world through this blog. Facebook fans 10,342. Twitter followers n/a. Idaho About Blog Working to help teachers think outside the traditional way of doing, and teaching, mathematics. I’m a Recovering Traditionalist elementary teacher and now, I help teachers and children learn to love math. Facebook fans n/a. Twitter followers 4,744. Fargo, ND Airplanes ?? About Blog Internationally Awarded 3rd Grade Teacher. CEO: Top Dog Teaching, Inc. Global Keynote Speaker. Classroom Designer. Author. Flexible Seating Guru. TEDx Speaker. Columnist. Technology Champion. Digital Citizenship Expert. Consultant. Facebook fans 4,777. Twitter followers 24,421. About Blog I am a first grade teacher in beautiful Utah and I am currently on my seventh year of teaching. Every single day I am learning something new and finding ways to be a better teacher. I love education and I love the sweet students that are entrusted to me each year. Facebook fans 1,711. Twitter followers n/a. About Blog Hints, tips, and tricks for my teacher friends. I've been teaching for 12 years. I taught 2nd Grade for 7 years and before that I taught 3rd and 4th. Now I'm back to teaching 3rd grade this year! Facebook fans 13,900. Twitter followers n/a. About Blog My place to write about teaching, and math, and teaching math. I was an elementary school teacher for eight years in Texas. About Blog BIG art in a tiny room! I'm Michelle and I created this blog to share the artwork of my K-5 students. Maui, HI About Blog I'm Nicole, a wife, mother of two and a 1st grade teacher in Hawaii. I have taught every grade from preschool to 3rd grade, along with Title I Reading! Facebook fans n/a. Twitter followers 1,728. Facebook fans 8,663. Twitter followers n/a. California, USA About Blog Teacher and single dad blogging about teaching, common core, great resources, and other educational topics. Teaching blog with great tips, ideas and resources for elementary teachers in grades 3 - 5. Facebook fans 110. Twitter followers 31. About Blog Marilyn's current thinking about math education and her ongoing classroom experiences and learning. Marilyn formed Math Solutions Professional Development, an organization dedicated to the improvement of math instruction in Grades K-8. Facebook fans 13,701. Twitter followers 20,274. Lewes, Delaware About Blog In Math, the Journey IS the Destination. During her 21 years in education, she has taught 5th–8th grade math, as well as spent two years as a K-5 Math Specialist. Facebook fans n/a. Twitter followers 11,731. Facebook fans n/a. Twitter followers 5,481. Dublin, OH About Blog Behold the magic of the elementary art classroom. This blog is intended as a venue for parents and students to check out what is going on in the art room at Thomas Elementary. Also, possibly more importantly, it is a place for other educators to find free art lesson plans and share ideas. Art, art education, art classroom, bottle cap, mural, elementary art blog, painting, ceramics, fun, awesome, interesting. Texas About Blog Funny Stuff and Ideas for Upper Elementary Teachers. I have taught Pre-K through 6th grade in a variety of settings–low income, high income, public, private, and magnet schools! I’ve even taught a wee bit of professional development– adult ed. Facebook fans 989. Twitter followers 213. About Blog A young middle school teacher in Little Rock shares her thoughts on classroom management, technology, literature and science, with the occasional dash of Christian perspective. Mrs. Weaver has a knack for highlighting little aspects of her day-to-day life that can appeal to any middle school educator, regardless of circumstances. Facebook fans 142. Twitter followers 131. About Blog I will begin my eighth year teaching. I have taught 4th and 5th grades. I currently teach 5th grade reading/ELA in Georgia. I am a life-long learner who love to read professional books and share my love for teaching with others. Facebook fans 2,169. Twitter followers n/a. Vancouver, Canada About Blog Lessons plans and classroom ideas for elementary teachers. Facebook fans 430. Twitter followers 200. Toledo, OH About Blog Welcome to my first grade teaching blog dedicated to fabulous teachers who inspire me every day! Facebook fans 2,111. Twitter followers 183. 65. Color It Like you MEAN it! About Blog I have been teaching elementary school art for 10 years. I love drawing, painting, and creating things. The only thing better than creating art, is being able to TEACH it to others! Facebook fans 563,694. Twitter followers n/a. Facebook fans n/a. Twitter followers 485. About Blog Blog posts from everything just so. Stories from the classroom, teaching tips, and links to teaching resources. everything just so, LLC is a curriculum design company specializing in language arts, classroom management, and organization resources for elementary teachers. About Blog My name is Raye and I'm an elementary teacher in Michigan. I have taught 2nd-5th grade in the traditional year and a stint with 6th grade ELA in summer school. I have bounced all over between these grades but am currently hanging out in 3rd grade for the third year in a row. Co. Leitrim About Blog Hi! I'm Hilary! I am a classroom teacher who loves to share classroom tips, teaching ideas, and resources for Primary Classroom! Facebook fans 3,332. Twitter followers 2,049. About Blog I totally dig those first graders...I feel like a lucky duck to love what I do!!!! Facebook fans 3,235. Twitter followers n/a. About Blog A place to gather and share ideas, lessons, products, and crafts for the elementary music educator. Facebook fans 2,220. Twitter followers n/a. About Blog Study material for students through kindergarten till eighth. Facebook fans 1,899. Twitter followers n/a. About Blog First Grade WOW, Windows on Wonder. I have had the privilege of being an educator of young children for over 34 years! I can honestly say I love going to school every day! I love to create hands on learning experiences for my little kiddos and help them love school and love learning! About Blog I teach art at Carroll Elementary School in Flora, IN. My favorite art medium to work in is ceramics, but I also enjoy painting, drawing, and printmaking. About Blog I have been teaching in Ontario, Canada for the past 16 years. I have worked in all grades from Junior Kindergarten through to Grade 8, but I have spent most of my time teaching grades 2, 3, or 4. Grade 4 is my passion. I absolutely love that age of student and the curriculum for that grade. About Blog I taught for 10 years. I spent 2 years in kindergarten, 5 years in first grade, and 3 year as an K-2 reading interventionist. I love teaching, my handsome husband, my sweet boys, and my precious yellow lab. About Blog Classroom teacher of 18 years, 3rd year library media specialist. Love collaboration, technology, and teaching! About Blog I'm a 5th grade teacher from FL who loves her job! I love life and learning! New Jersey About Blog Trying to make math meaningful. I am an elementary school math specialist in central New Jersey. Facebook fans n/a. Twitter followers 3,031. About Blog My goal is to provide quality lessons and units for K-12 that are practical and ready to teach. I have a large number of novel units to accompany popular chapter books for grades 1-8. These units are ready to teach with very little prep needed by the teacher. About Blog Hi! I'm Rissa! I'm a teacher/blogger/curriculum designer at Teaching in the Heart of Florida. On my blog, I share classroom tips, teaching ideas, and resources. I am curious about everything, so I explore many topics in education! Facebook fans 461. Twitter followers 537. About Blog I am an experienced elementary teacher of twenty-three years with a passion for reading and writing. I hope to instill this passion for books in my students. Facebook fans 1,799. Twitter followers n/a. About Blog Welcome to our collaborative blog from and for K-6 primary teachers! Facebook fans 10,383. Twitter followers 176. Dublin City, Ireland About Blog Infanteducation.ie is a resource for Infant class teachers in Ireland. Together we share thought and ideas about Aistear, all subject areas and class blogging, supporting educators in creating a fun, playful and inclusive learning environment. Facebook fans 871. Twitter followers 11. Lake Elsinore, CA About Blog Elementary math teacher who love doing things with my family and anything to help improve my classroom. About Blog I have taught grades 3rd, 4th, and 5th. I also teach Early Childhood Education at the University of Arkansas. Teaching isn’t just my job it’s my passion. I love what I do and I can’t imagine doing anything else. Facebook fans 3,823. Twitter followers 119. Long Beach, CA About Blog Resources for teachers, administrators and parents of big and little kids! Curriculum developer for elementary & middle school teachers and writes an educational blog to share ideas and resources. Facebook fans 486. Twitter followers 50. 89. Primary Creations | Tot School, Preschool, PreKinder and Kinder. About Blog I'm Allie (Alison, Al, Mrs. Garza, Miss, Mom ... I basically answer to any and all). I'm a blogging, printable creating, primary teaching, once a homeschooling mom of two, wife of one (ha! ), life loving, eternally optimistic gal and owner and creator of this place! Facebook fans 2,996. Twitter followers 176. Ewa Beach, HI About Blog A SWEET spot to stop for activities, games, and lessons! 5th grade teacher, cat mom, baker, blogger, Target Shopper, Starbucks drinker, and living the Hawaii life! Facebook fans 3,768. Twitter followers 54. About Blog Teaching is my passion and I love to share. I have been a French Immersion Teacher since 1994. I have taught grades 1 through 9. A few years ago I made the move up to Middle School and am now teaching Middle School Math & Science and loving it! Facebook fans 287. Twitter followers 73. About Blog I'm a second grade teacher from indiana , wife, animal lover, and mommy to be. Facebook fans 638. Twitter followers n/a. About Blog Sharing ideas all related to grade one. About Blog Elementary school teacher in Calgary. Learning to teach math. About Blog Adventures in Elementary School. About Blog I am an elementary teacher from Iowa and I love my job! I taught 3rd grade for four years and will be starting my fifth year as a 5th grade teacher! Facebook fans 34. Twitter followers 22. About Blog An "Uncommon-to-the-Core" Teacher in a Common Core World. . . Hull About Blog I am a primary teacher in South Wales, UK. I am currently teaching EAL (English as Additional Lanuage) children across the Borough, which I absolutely love! Facebook fans 1,174. Twitter followers 226. About Blog I am an easygoing and creative elementary teacher. I am passionate about sharing the love of Jesus, one classroom at a time. Facebook fans 1,126. Twitter followers n/a. 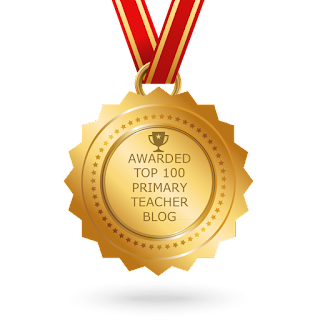 CONGRATULATIONS to every blogger that has made this Top Primary Teacher Blogs list! This is the most comprehensive list of best Primary Teacher blogs on the internet and I’m honoured to have you as part of this! I personally give you a high-five and want to thank you for your contribution to this world.